The Museum of Cinema in Girona presents a new audiovisual product for a better understanding of the Camera Lucida. This audiovisual has been created using 3D animation techniques. 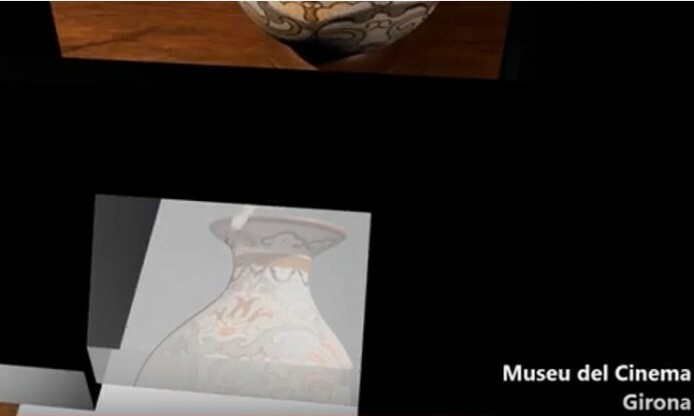 The script is done by the Director of the Museum, Jordi Pons, and the project execution is assumed by the CIFOG (Escola de Cicles Formatius de Girona). This audiovisual, unique in its presentation, has a clear dissemination function and, unlike the theoretical texts, allows the viewer to get a clear idea of this technique for reproduction. A camera lucida is an optical device used as a drawing aid by artists. The camera lucida performs an optical superimposition of the subject being viewed upon the surface upon which the artist is drawing. The artist sees both scene and drawing surface simultaneously, as in a photographic double exposure. This allows the artist to duplicate key points of the scene on the drawing surface, thus aiding in the accurate rendering of perspective. The camera lucida was patented in 1806 by William Hyde Wollaston. All the photographs in this website are licensed under Creative Commons.